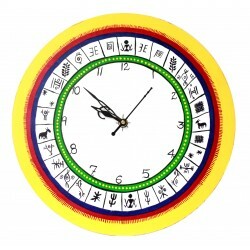 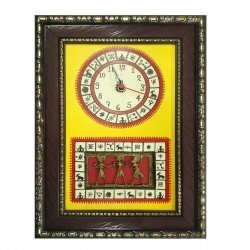 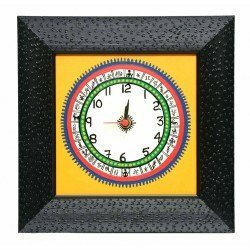 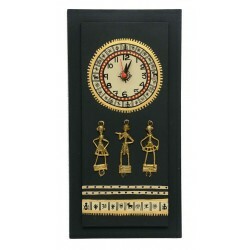 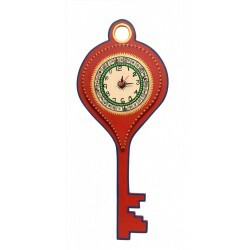 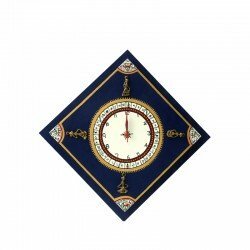 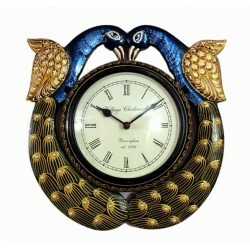 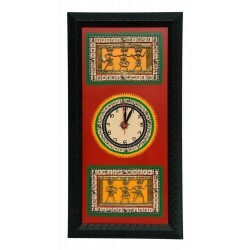 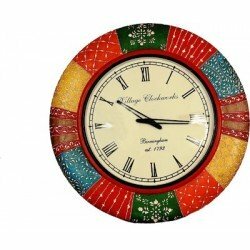 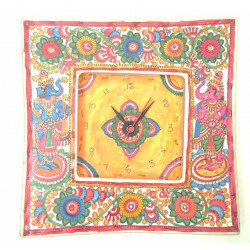 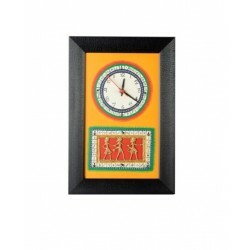 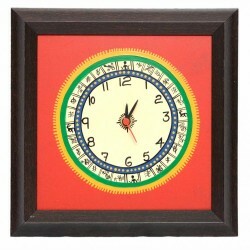 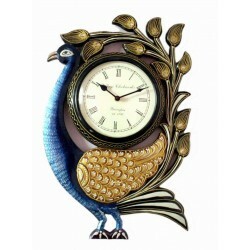 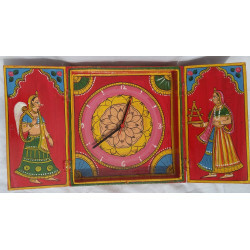 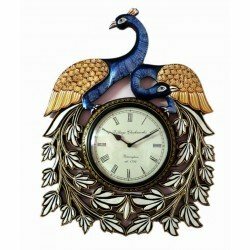 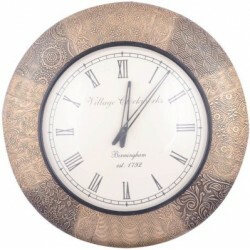 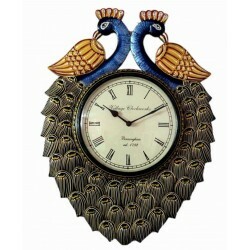 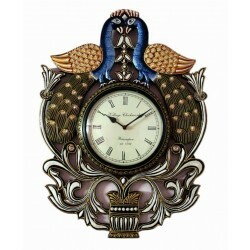 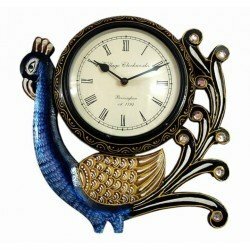 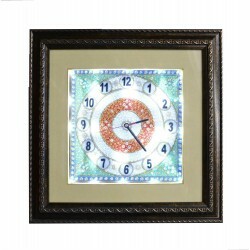 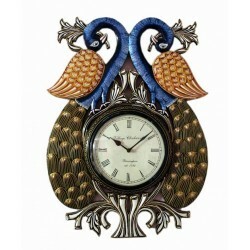 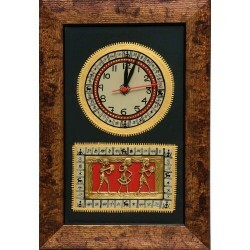 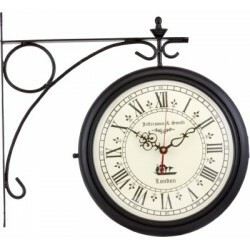 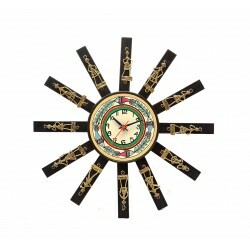 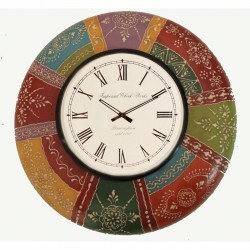 > Home Decor>Wall Clock>The Ethnic Story Handcrafted Leather Puppetry Round Wall clock 12"
Add this beautiful handcrafted leather puppetry Wall Clock from The Ethnic Story to your interiors which is specially handcrafted by our artist from Andhra Pradesh. 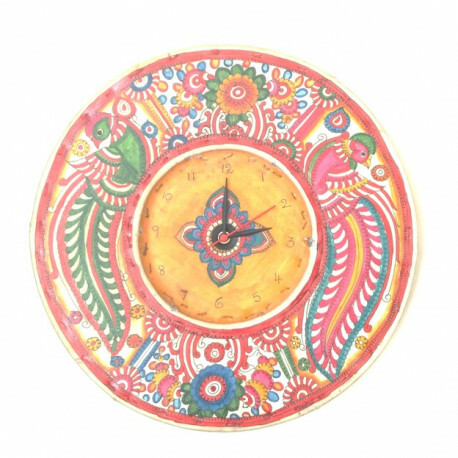 The Intended design is outlined by using pencil or charcoal. 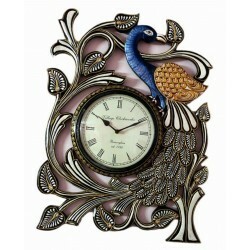 The craftsman creates a beautiful pattern of etches using a small chisel. 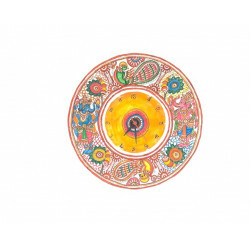 Finally, the Artist fills the artwork with vibrant colours. 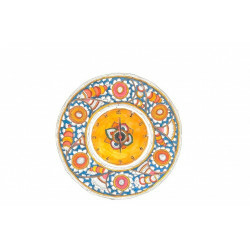 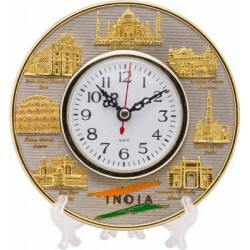 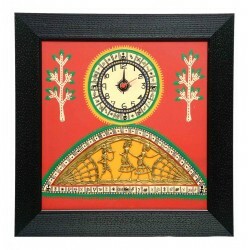 A Beautiful Piece of True Indian Art for Living Rooms A Nice Gift Item For Indian Art Lovers.